The complete title of this album is ‘In The World of Fantasy? … And Other rarities’. It was actually released prior to ‘In Search Of The Perfect Chord’, so the final epic song on that album features as the opening song on this collection, a taster for what was to come. Of course, reviewing this some four years later means that some of the impacts of that is rather lost. All of the other songs are either rare songs taken from singles, alternative versions, demos or unreleased songs. It goes all the way back to the band’s beginning in 2014, and then right up to date with an unrealized theme from the next album. Normally with an album of this type, reviewers would say that this is a nice set for completists and those who are already fans of the band, and move smartly onwards and not bother listening to it. But, what we have here is one of those rare instances of a rarities collection that is actually a bloody fine listen indeed. One of the real joys on this one is “Born In 67”, where keyboard player, bandleader and label boss Ryszard Kramarski provides lead vocals on the demo. Contrast that to the Beatles-like “The Prose Of Life” that follows it, and I can guarantee that any listener will be smiling (at least I was). I believe this CD was only released as a limited numbered edition, so I don’t know if it is still available, but all progheads should grab this if they come across it. 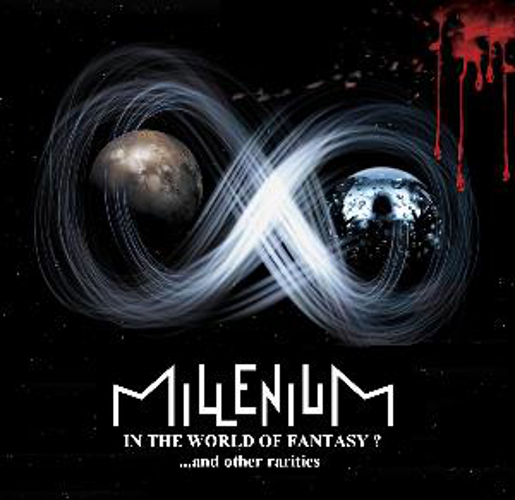 These days, most progheads when they think of Poland always think Riverside, but in truth, there has been a great deal of wonderful bands out of that country in the last 20 years, and to my ears Millenium is right up there with the very best.